Every business needs to know how much cash they have, where it’s coming from, and where it’s going. The statement of cash flows tells you exactly that. Income and expenditures are categorized as one of three activities: operating, investing, or financing. 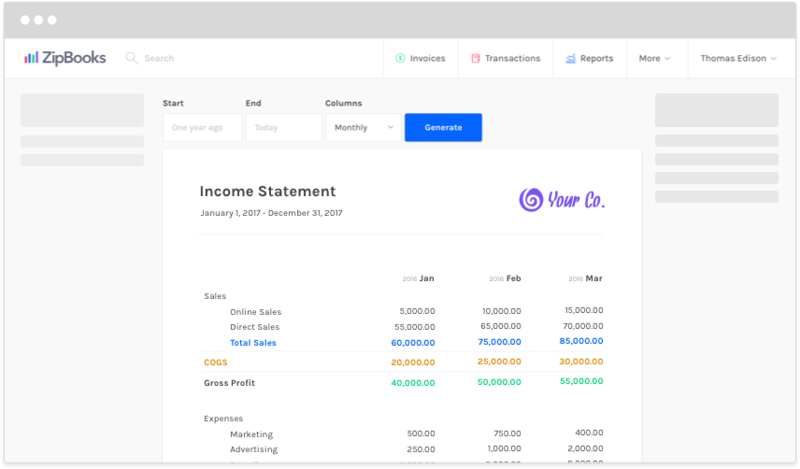 ZipBooks will automatically identify transactions and provide you an accurate picture of how much cash your business is generating, and where you're ultimately spending that money. All income that is generated through the normal operations of a company are included in this category. Sales of inventory, performing of principal services, and other primary business activities would be reported here, along with expenses relating to those activities. Income that is earned from investments (like the sale of stock) and cash that is spent on items to keep a business running (such as new machinery) are classified as investing activities. This section would include cash your business has as a result of loans or other types of credit, and payments on those, and any outstanding debts your business may have.